Restorations are currently in progress. Retired business owners Kate and Tom Kenny have been working long hours on the grounds of Desert Christ Park. They have been restoring sculptures and repairing water lines. Native plants and trees have been added. This year we look forward to the donation of more living Christmas trees to our current pine trees to provide shade for visitors. We also welcome native plants and trees. Kate has graciously restored several sculptures, and plans to do more in the coming months. Tom has added an iron Ocotillo sculpture to the center island along the driveway and will be adding more. Kate plans to make a display to show the process of how Antone Martin sculpted many of the Park's works of art more than 67 years ago. 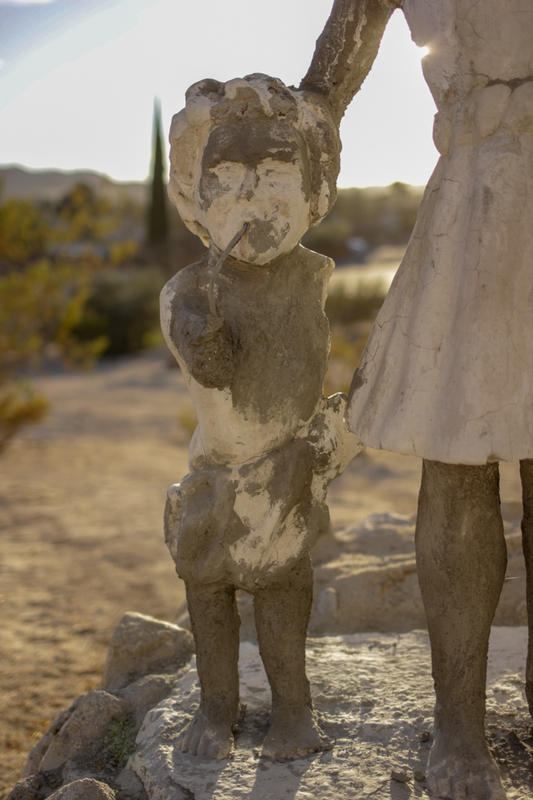 With enthusiasm and excitement, Desert Christ Park is being restored as a place to stop for a quiet moment, appreciate the views of the valley, admire the works of art and enjoy our desert wildlife. Help us restore this beautiful place, and bring new life to the park.